When in Sri Lanka, Brad and I had the chance to drive our own Sri Lankan tuk tuk up to the Wilpattu National Park to take part in a Wilpattu safari package. I was super excited because it’s famous for its leopard sightings and quieter than other national parks in Sri Lanka (such as Yala). 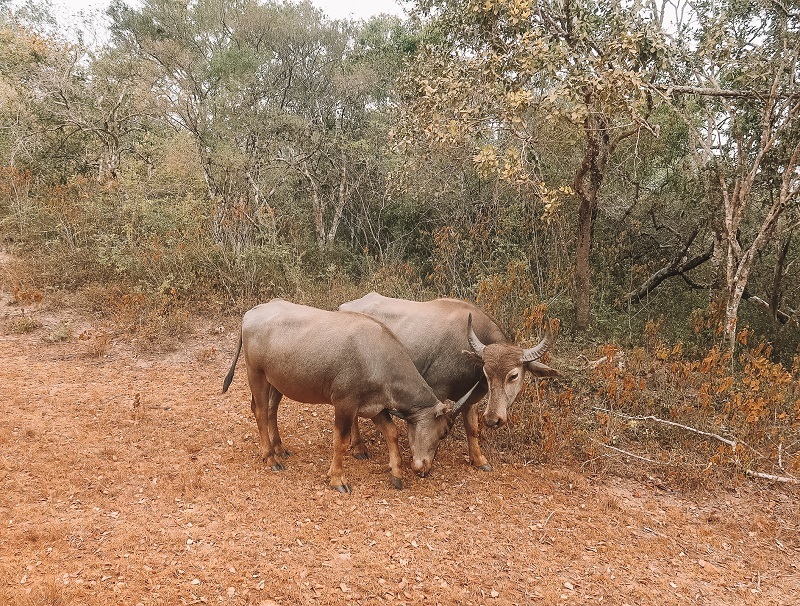 We had an amazing time and ended up being one the the best things to do in Sri Lanka, so I thought I’d give you a guide on doing a Wilpattu National Park safari. There are a variety of options when it comes to getting to Wilpattu National Park. Below I will take you through some of the most common destinations in which you are likely to be visiting Wilpattu from. 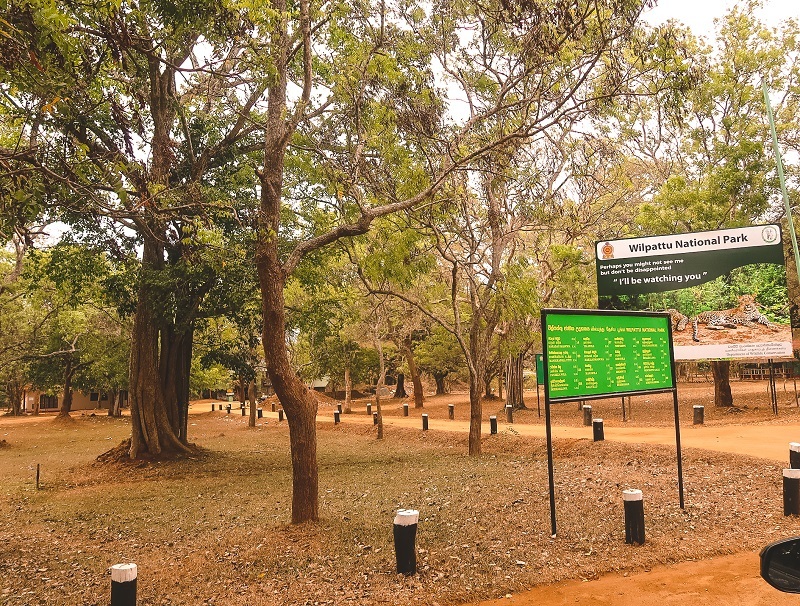 Anuradhapura is around 40-50 minutes from Wilpattu National Park via car, and you could easily get a tuk-tuk ride from Anuradhapura to your hotel destination for a safari getaway. You can order your transport through “Pick Me” to get an idea of price. 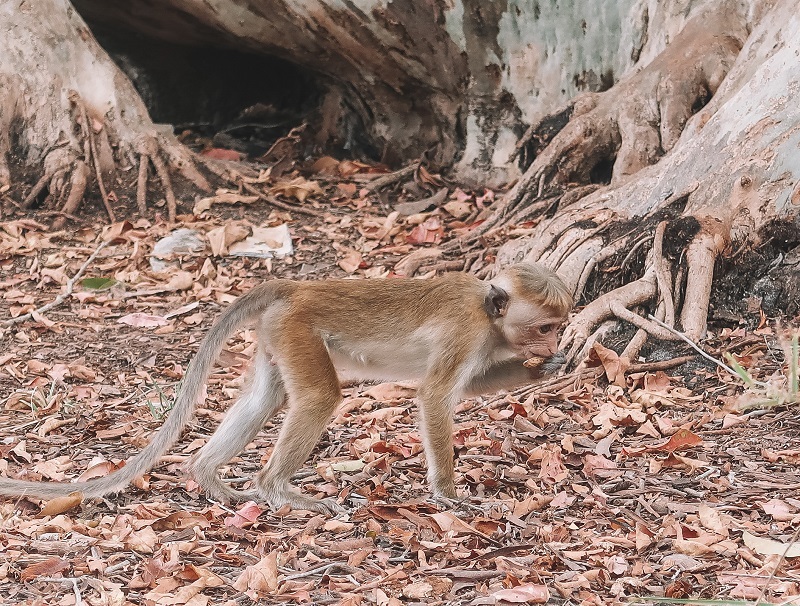 If you book through an organised tour in Anuradhapura, they will most likely include your transportation, and it’s most likely an “evening” safari you will be doing. The evening safaris run from 2.30 until around 6 pm. Read Also: Our awesome guide on the best places to visit in Anuradhapura. Most people start their Sri Lankan adventures in Colombo and it’s not too difficult to get to Wilpattu National Park safari from Colombo. You can opt for an Uber ride, which according to the Uber fare estimate calculator should be a cost of around LKR7,996-10,629. This equates to around £37-50, which if you have 4 people will be around £12 each which isn’t so bad if you want air-con and convenience. The journey is meant to be around 3 hours and 15 mins, but if you are caught in traffic, this will be closer to 4 hours. 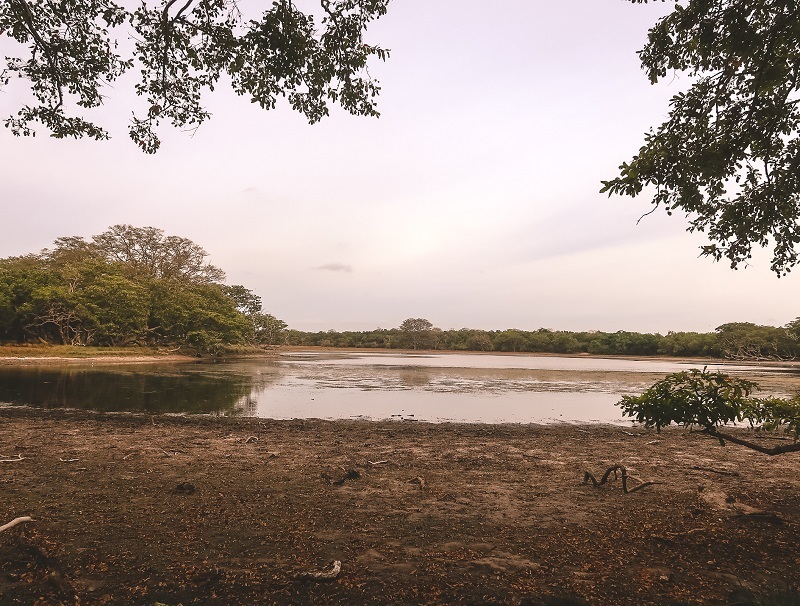 No buses run “direct” to Wilpattu National Park safari, but, you could opt for a bus to Puttalam which is one of the main areas closest to it, and then tuk-tuk your way to the park. Buses that run to Anuradhapura or Jaffna, stop at Puttalam, it’s around a 39-minute journey, or of course, you could go from Anuradhapura. What is the Wilpattu National Park safari price? The Wilpattu National Park safari price will depend on whether you are doing it “solo” i.e arranging it yourself, or you go through a company, or even hotel. 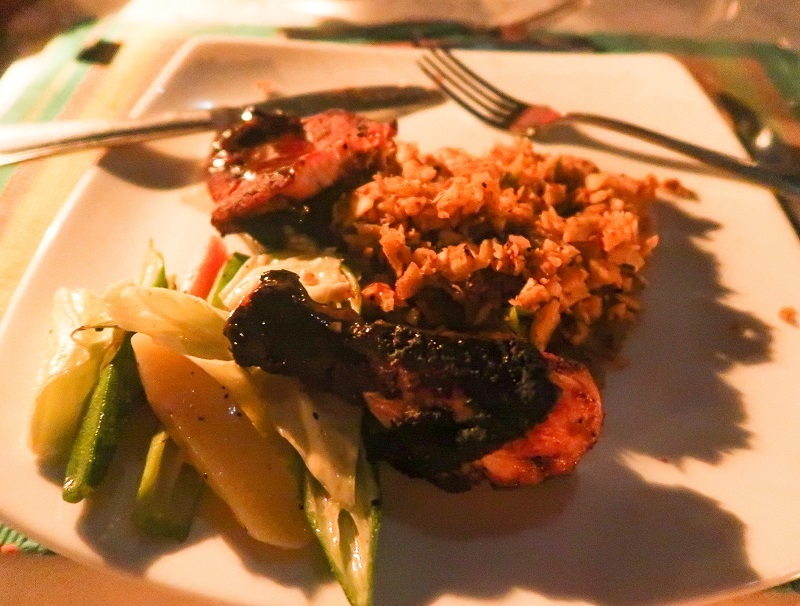 We opted for a safari package with our hotel choice (more on that below!). But the official prices are as follows. Then on top of that price, there is an $8 service charge and vehicle charge fee and 15% VAT. The park themselves offer to arrange safaris, which you can find out more about here. However, you can get a far better deal with booking.com, which I will go into detail about below as it’s what we did! When is the best time to visit Wilpattu National Park for a safari? It is possible to visit the park all year round, but it’s not exactly pleasant in the monsoon season. The prime time for visits is February to October. Lots of people go to this park in the hope of spotting leopards, but there is no real better time to see them, it’s basically just luck! 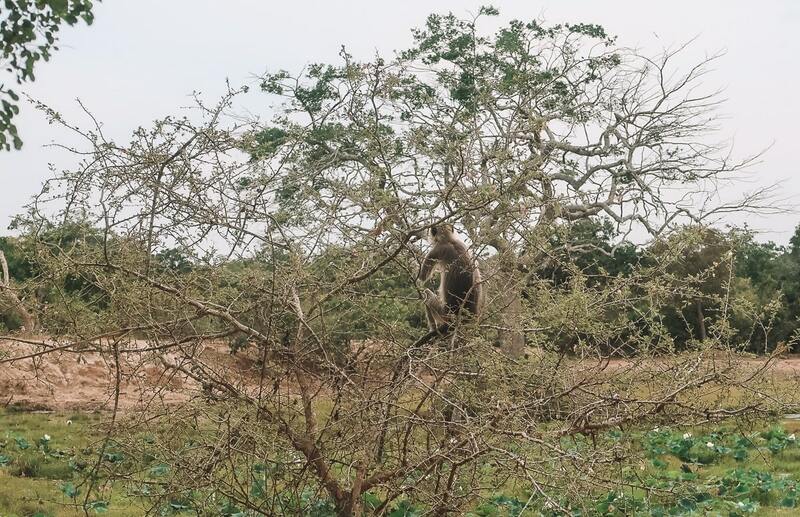 Don’t worry, however, there are around 30 other mammals to see in on a Wilpattu National Park safari which include the Sri Lankan Elephant (we saw! 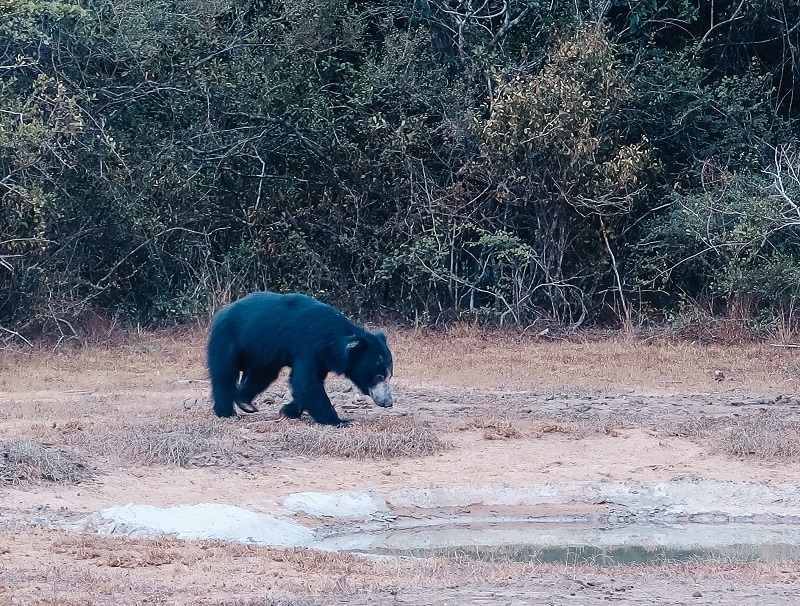 ), the Lanka sloth bear (we saw! ), Spotted deer (we saw! ), Buffalo, Mongoose and Sambar. There is also a wide range of birdlife, reptiles and much more. Just keep your eyes peeled and you won’t be disappointed. Wilpattu National Park accommodation: Who’s the best? 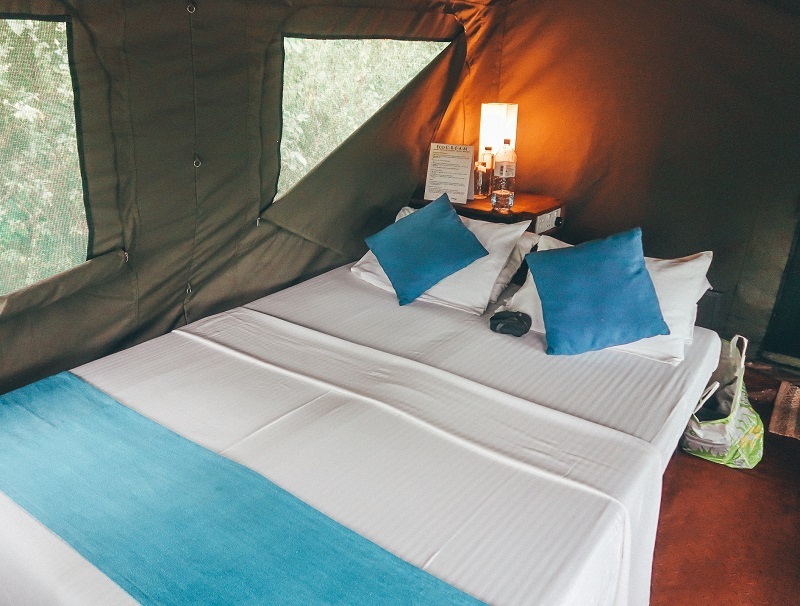 Thankfully we have created a whole post dedicated to Wilpattu National Park accommodation, but if I had to pick a favourite...then it’s got to be Big Game Camp! Keep reading to find out more about our stay at Big Game Camp and our safari experience. Big Game Camp is a fantastic camp situated only a few KM from the entrance of Wilpattu National Park which makes it the perfect base for taking part in a Wilpattu National Park safari experience. Your accommodation is within luxury tents, a little like glamping. Ours consisted of a double bed, private bathroom and fan. The little tents are cute, but they get super warm during the day, so it’s best to stay out of the tent until you sleep! Upon arriving in our tuk-tuk, which took a little longer than expected, we were greeted with smiles and a welcome drink of coconut water. Our guide introduced himself and explained a little bit about the park, and what the safari experience would entail. We arrived at 2 pm and we were heading out on the 2.30 pm safari. We soon realised it was just us on the jeep and afternoon safari, so we literally had our own private safari experience with our very own guide! Our guide chatted to us about the different animals in the park and when our driver spotted an animal (Which they are pro at! ), he stopped the car and we had a nosey and got pictures, asked questions etc. We knew it was going to be pot luck as to whether we got to see a famous leopard, and unfortunately, it wasn’t meant to be! But, much to the excitement of Bradley and I and of our guide, we saw a Sri Lankan sloth bear! They don’t come out in the dry season, as they are typically hiding in the shade, but one wandered across the road to a watering hole to get some water. It was so cool, and our guide was so excited to see one too, he had only seen them twice, which shows the rarity in the experience! We travelled along in our jeep, the driving felt like being on a rollercoaster. 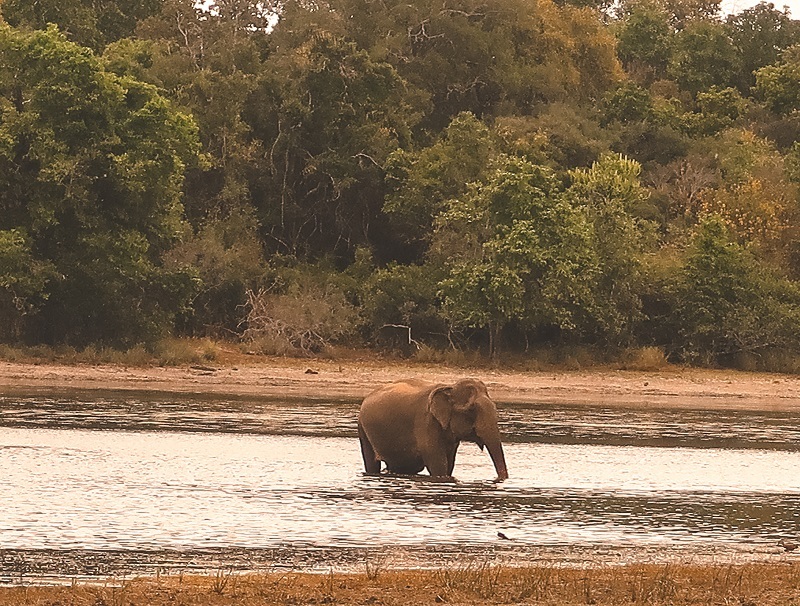 Then we came to a big lake and we spotted my favourite gentle giant, the Sri Lanka elephant! I LOVE elephants, simply because they are like babies and big dogs. They love to show affection, and they just want to play. We saw one having a bath, which is always beautiful to watch. We crept closer in our jeep and got some cool close-ups. The great thing about a Wilpattu Park Safari is that it isn’t overcrowded like it’s counterpart in say, Yala National Park safari. I was warned that Yala is so busy that all you see is other jeeps, and my guide told us that there are over 200 jeeps that go in a day. There is nowhere near that amount in a Wilpattu National Park safari experience, so it feels like a rather intimate affair, which is great! We witnessed lots of other animals during the tour, including a spotted deer, peacocks, lots of birds, monkeys and much more. 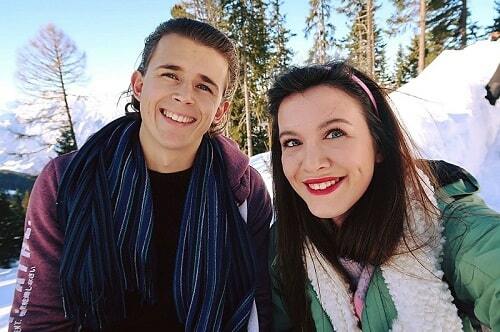 Our tour was a lovely experience because it was just us two, and we even had a little break where we were offered some cold sprite and some snacks, which was lovely. Ice cold water was provided during the safari whenever we needed it too. So even though I didn’t get to see any leopards on my Wilpattu safari experience, I still had a great time. I love seeing animals in the wild, and with a guide who was passionate and knew lots of information, I felt like we were in the right hands. 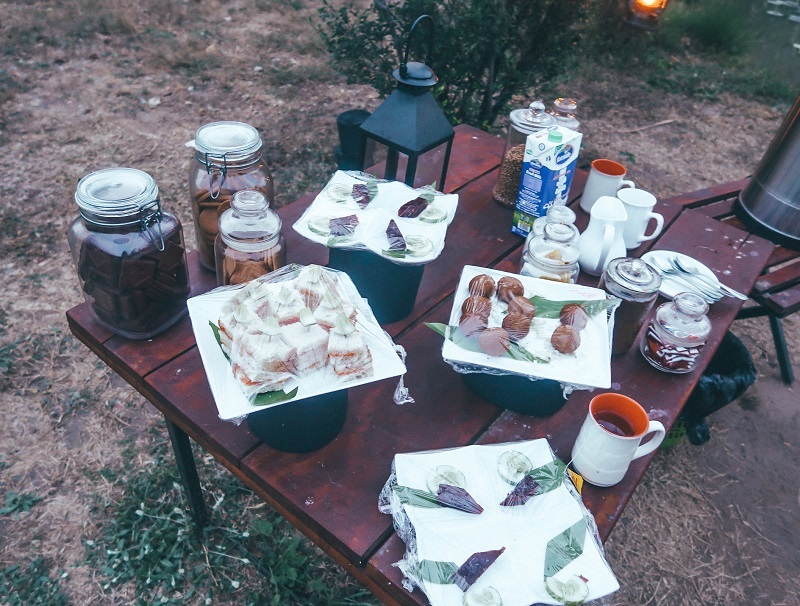 After we returned from our safari experience we were greeted to a tea and coffee display with delicious finger food and biscuits. This was a pre-dinner snack and it was lovely to enjoy a cup of tea in the wilderness. We had an hour until dinner to freshen up. Now dinner was an experience in itself. You are picked up by a member of staff at your tent and they walk you through this trial lightened by fire torches and you are brought to a beautiful area with tables set up underneath the stars whilst a fire burns brightly in the middle. Your dinner table is lightened by lamps and the ambience is romantic and peaceful. 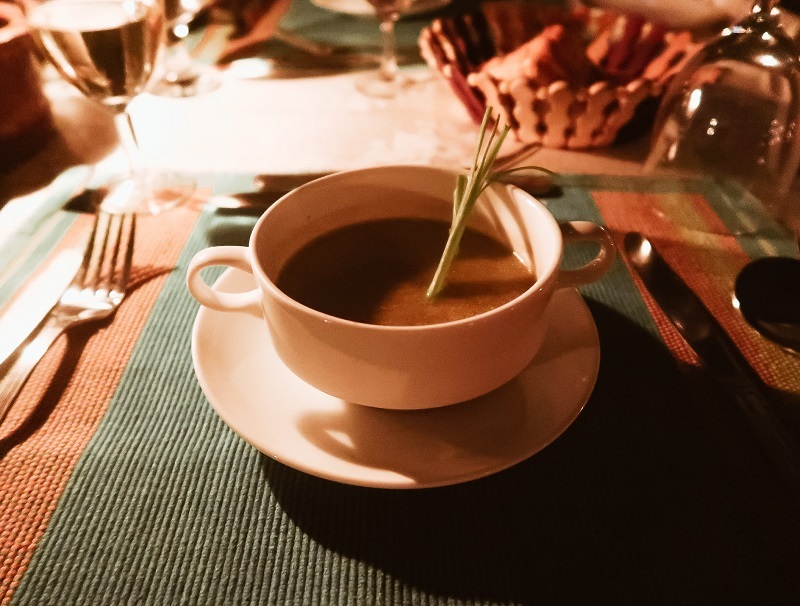 You are then treated to a delicious 5-course meal (ALL included in the full price of the accommodation and safari...I promise I will reveal soon) and you can opt for an alcoholic beverage. Bradley and I enjoyed some wine which was reasonably priced at £3.80 a glass. You could relax at the table all evening, and order drinks until your heart's content and just soak up the atmosphere. Then when you are ready to sleep, head back to your tent (which is now cold!) and get a good night's rest. Breakfast is at 7.30 am, which is when it’s still a bearable temperature outside. You head to the same area you had your wonderful dinner and you’ll be greeted with a smile and a tea or coffee to get you started. Breakfast is a feast consisting of eggs, pancakes, toasts, and fruits. It’s all truly delicious and the perfect start to your day. You can spend the rest of the morning relaxing or even ask a guide to take you on an organised walk. Or, if you want, you can head off on a morning safari adventure again! Tips for type 1 diabetics: as there are no fridges included in the room, simply put your insulin altogether in one convenient bag and the staff are happy to place it in the fridge for the duration of your stay! So, here it is...the big reveal. 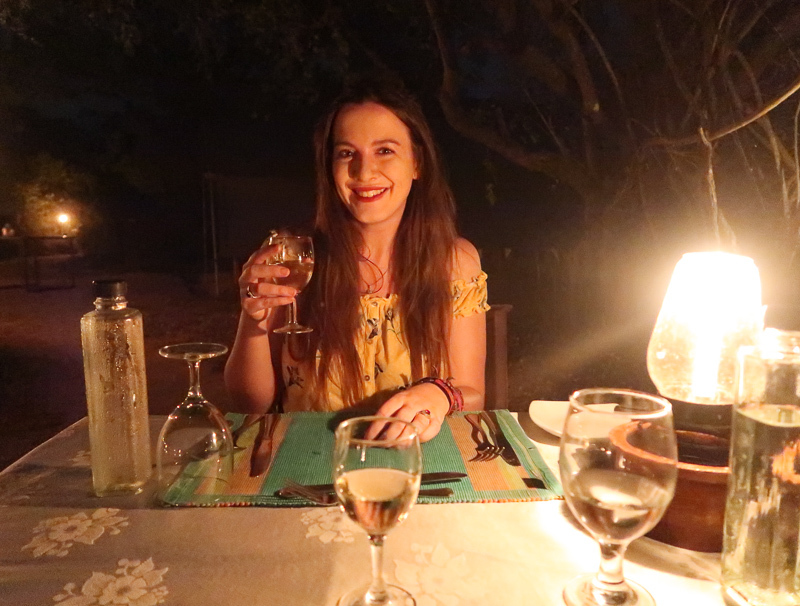 How much did one night in a luxury tent with a double bed, private bathroom, with a 5-course meal under the stars and a stellar breakfast….plus a half day safari cost us!? $191, which is an amazing $95.50 each! 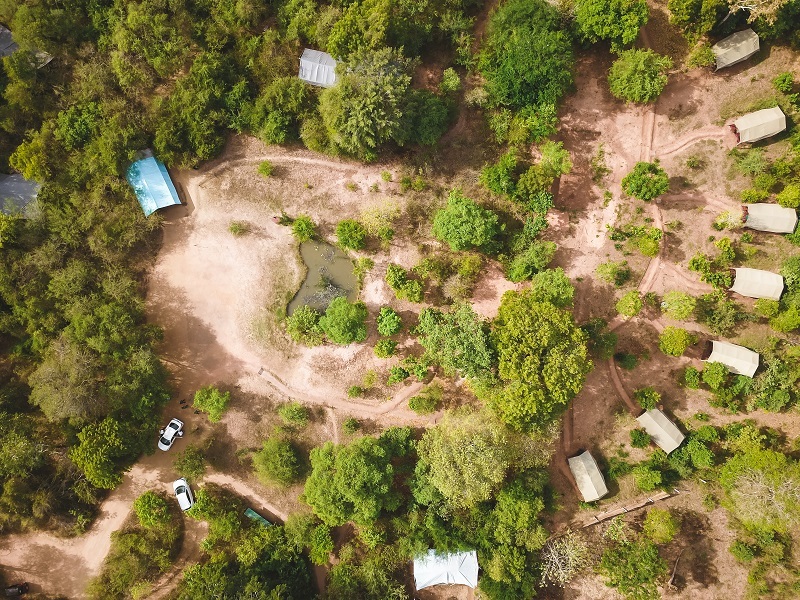 That is an AMAZING deal, especially for everything that you get, and if you compare to other accommodation and safari deals around, then you’ll realise that Big Game Camp is excellent value for money. So, if you want an incredible Wilpattu National Park Safari experience, just like us, then book your stay here. If you're heading to Sigiyria next, then check out this post on the best things to do in Sigirya! If you want advice on Sri Lankan safaris all across the country this check out this mammoth guide. Interested in a tour to Wilpattu?